Nylon Collapsible Water Container (5 Gallon/20L) with a modern twist on a collapsible water container, the nylon water container is the most compact 5 Gal. collapsible in the market. A party isn't a party without an array of beverages for guests to enjoy. The Igloo Party Bucket keeps drinks and snacks cool, even in hot weather. Its lightweight and fully foam-insulated polypropylene body features an elevated base and ergonomic shape for efficiency and carrying comfort. Bring food and beverages to the beach, park or woods in an Igloo cooler. A generous 49 litre capacity fits treats and supplies for the whole family to enjoy. Swing-up handles make carrying easy, and a fish-keeper scale on the lid is handy on fishing excursions. 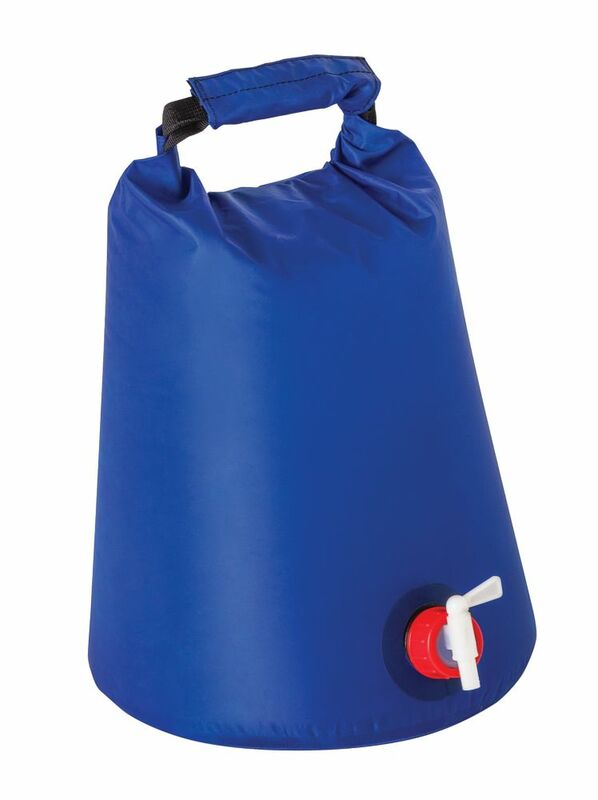 Aqua-Sak 20L Water Container Nylon Collapsible Water Container (5 Gallon/20L) with a modern twist on a collapsible water container, the nylon water container is the most compact 5 Gal. collapsible in the market. Aqua-Sak 20L Water Container is rated 2.0 out of 5 by 2. Rated 2 out of 5 by Lake ontario from Tastes like plastic Very strong smell and taste of plastic. I’ve been trying to soak / soap it out but no luck. Maybe after many uses it will diminish. I guess you should think ‘emergency water’ not ‘natural spring water’ when buying.